The action on the pitch is only one part of the Monkstown story, with the club bar is a famous venue for all your TV sports, needless to say matchdays for the Heineken Cup and 6 Nations are not to be missed! In addition the clubhouse is regularly filled with a variety of club events, and parties – all of which are open to members and non-members alike so be sure to keep an eye on our Next Event calendar. For those of you looking for a more active involvement we offer TRX Fitness training, Saturday Yoga, Tag Rugby and Touch Rugby during our busy season. 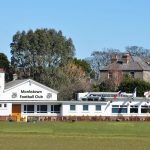 If you would like more information on any of the above please feel free to drop into the clubhouse anytime, or email us on info@monkstownfc.ie.